View of Mount Ararat from the Armenian side. Although situated on the Turkey side ,Mount Ararat is the principal symbol of Armenia and have been considered a sacred mountain to Armenians . 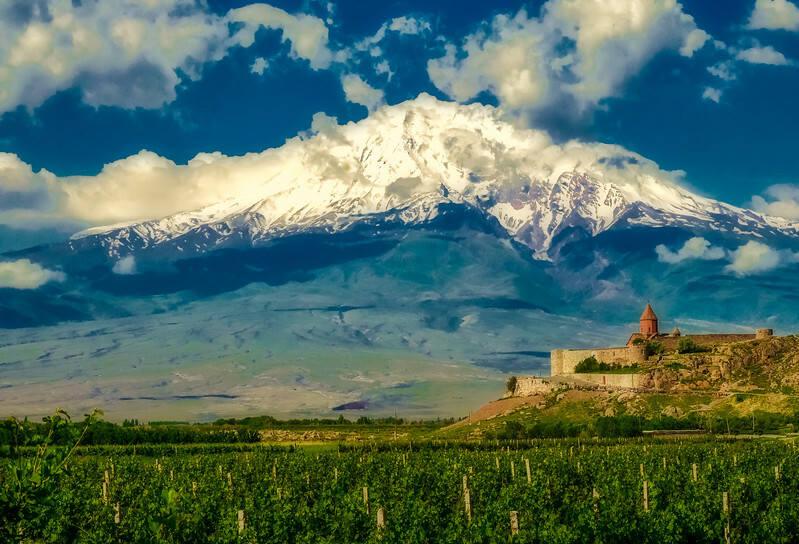 Many Christians believe the mountain is the final resting place of Noah's Ark and ,in 2007/8 a team of Turkish and Chinese explores claimed to have discovered the remains of the ark near the peak of Ararat .